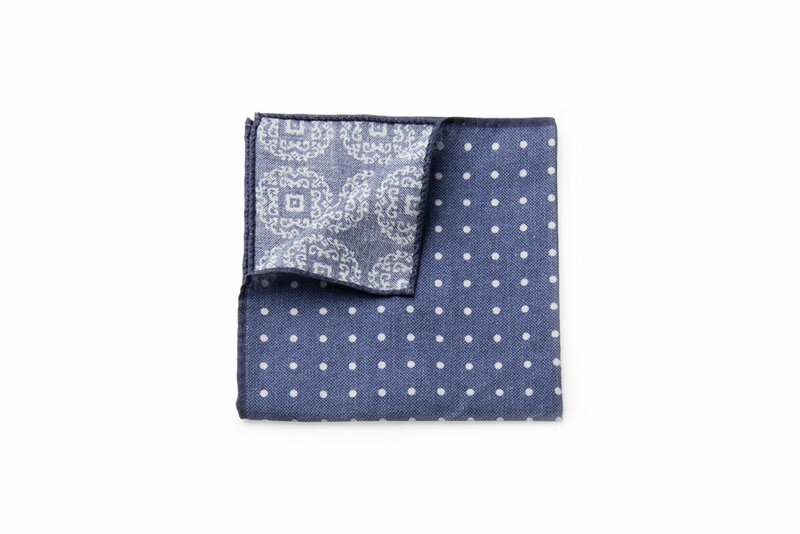 Garrison Essentials Double Faced Pocket Squares. 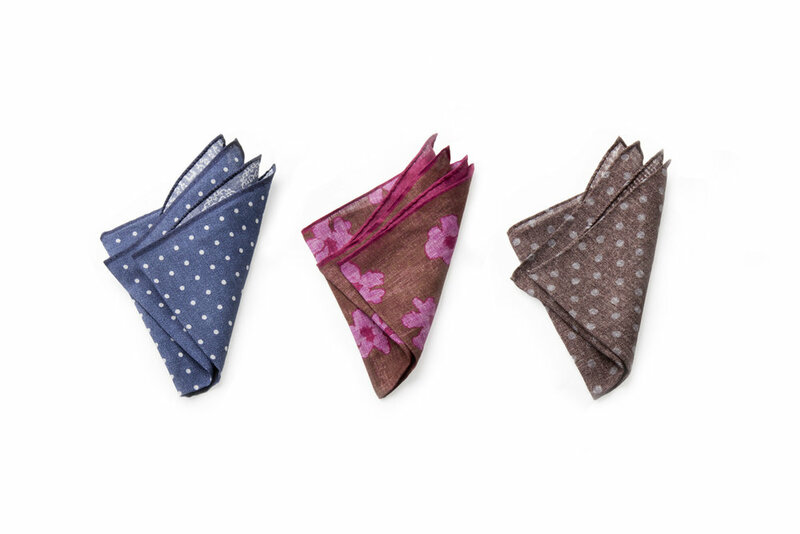 For edit three, a collaboration with a small maker in Southern Italy for an exclusive collection of pocket squares inspired by a summer in the South. Made in lightweight Italian Wool, Linen and Cotton, each square has its own unique slub like texture and double face design. Available in Blue Cotton, Pink Linen and Brown Wool. Each fabric having its own slub type texture and a double face detail. Made with 100% lightweight Italian wool. Woven white polka dots on one side and a zebra check on the reverse. The wool texture makes the square ideal for casual tailoring. Made with lightweight Italian linen and woven with melange yarns for a more interesting colour tone and texture. 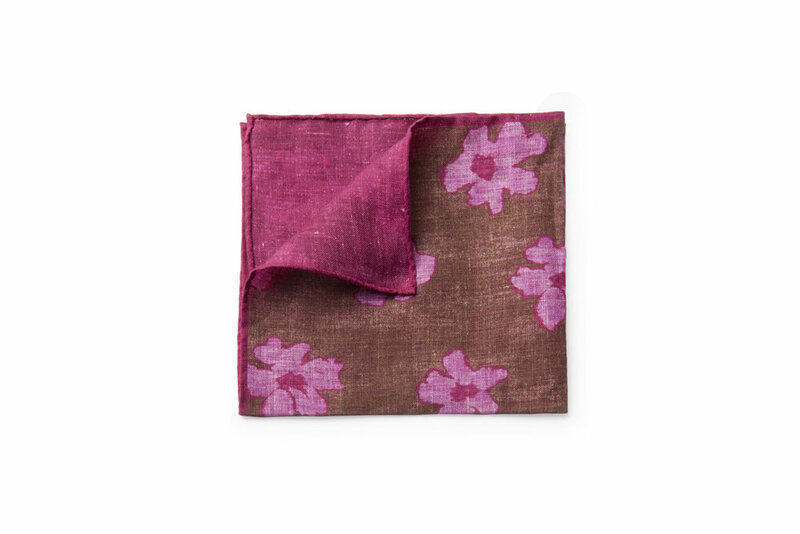 Shibui flower print and solid pink slub reverse. Ideal for sharp tailoring or summer suiting. Woven in 100% lightweight Cotton. Crisp enough to hold a neat fold without being too stiff. Traditional dots on one side and bandana style medallions on the reverse. Ideal for smart or casual looks. 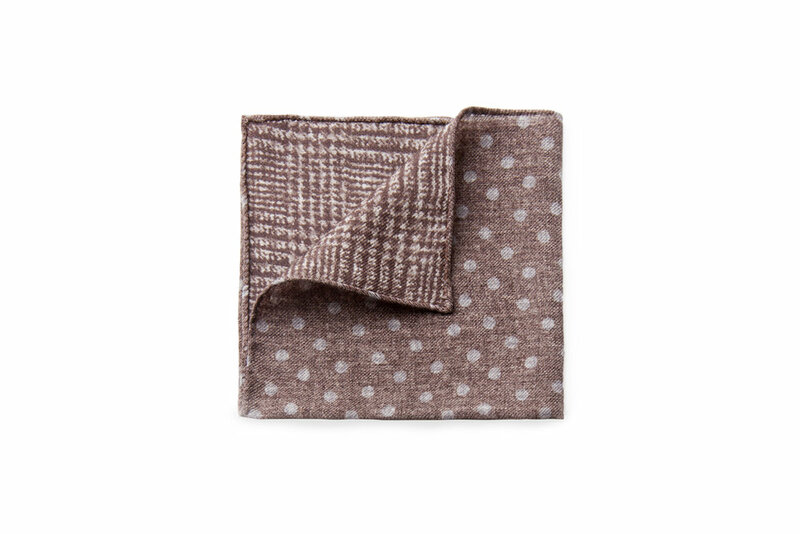 Handcrafted in Southern Italy and made smaller than a traditional square at 8"x8" for a more compact fold.